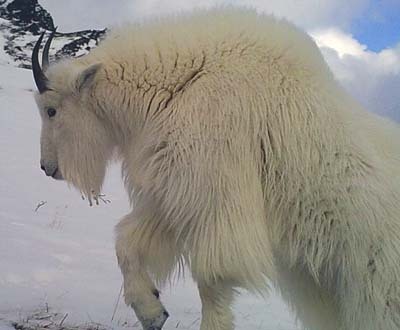 - We observe mountain goat behaviour to learn more about how the goats accommodate human interference. - We document mountain goats with hand-held and remote automatic cameras to learn more about natural behaviour. - We monitor local herds to document changes in population and the incidence of disease or natural catastrophe. - We receive comments and complaints from local residents regarding mountain goats and pass their concerns over to government staff. - We monitor industrial and recreation activities that may impact mountain goat herds and we advocate for the goats if the herds or their habitat may suffer setbacks. - We recommend changes in provincial regulations that will promote sustainability of mountain goat herds in British Columbia. - We support eco-tourism industry based on non-consumptive use of mountain goats such as wildlife viewing. 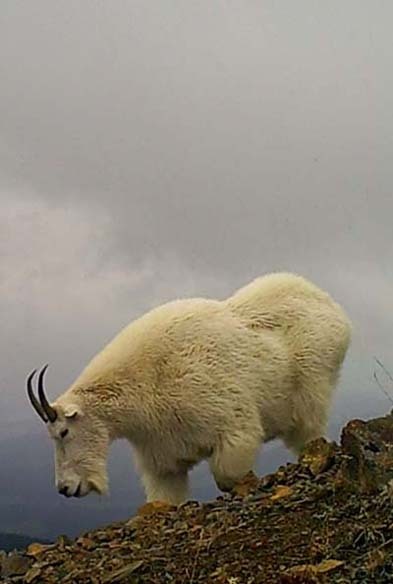 - We support scientific research concerning mountain goats to learn more about factors that threaten the long-term viability of mountain goats. - We take every opportunity to educate the public about mountain goats in order to correct inaccurate myths and to present the real life story of mountain goats. Our society was formed in 2015 to advocate for mountain goats in British Columbia, Canada. We are located at the heart of mountain goat country, in Smithers, BC, Canada. Our region has many alpine trails that lead to mountain goat habitat and are easy to hike in a day. Our directors have spent decades hiking local trails on every mountain and observing our local mountain goat herds. 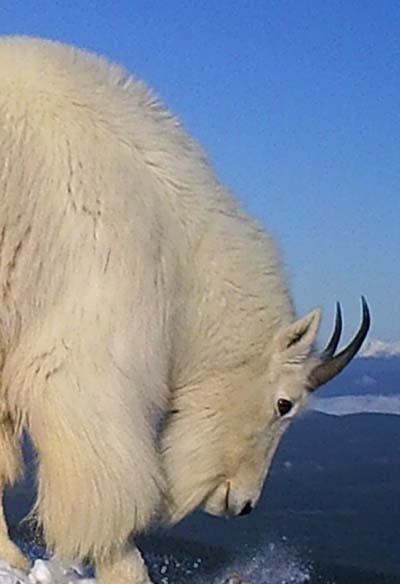 British Columbia is the home of more than 50% of the world population of mountain goats. The province has an obligation to the rest of the world to sustain the species. A mountain goat kid usually can stand and nurse within a couple of hours after birth and is running and climbing within a day. The nanny will isolate herself and her new kid for the birth and the first 4 or 5 days; then she will introduce her new kid to the herd.